When it comes to the online freelance services marketplace, then Fiverr is in the top position. This journey of Fiverr for being a number one online marketplace for freelance services has started since 2012. The pricing starts at the minimum cost of $5 per job which usually attract buyers to try out the service at the lowest budget. Along with that, you got way too many features which fulfill your requirement. However, still hundreds of sites out there which represents the same services and has a huge marketplace. While looking for sellers from different origins for same services then you might not want to be limited in one site. With over 27million employers and freelancers globally from over 247 countries, regions, and territories, Freelancer become world’s largest freelancing and crowdsourcing marketplace by the number of users and projects. However there are over 850 categories to browse through but if you are in need of people to hire in areas such as software development, writing, data entry and design right through to engineering, the sciences, sales and marketing, accounting and legal services then Freelancers is something where you probably want to look up first. When you select a freelancer to work on your job, you only need to pay when you are satisfied with the assigned work that has been done by the person you hired on Freelancer. As the name specifies, PeoplePerHour gives you a marketplace to starts from as little as 1 hour jobs. PeoplePerHour.com has been on the market since 2006 and gained the trust of a lot of people over the time. It has over 1.5million registered user from 89 countries worldwide. There are around 1.1million jobs which are posted so far. There are more flexible options which give recruiters and Freelancers to link up more quickly and in an easy way. It has potential to become one of the Fiverr alternatives to make a connection between freelancers and recruiters. As the term “Guru” derived from ancient Indian language Sanskrit, which means Master or Professional. 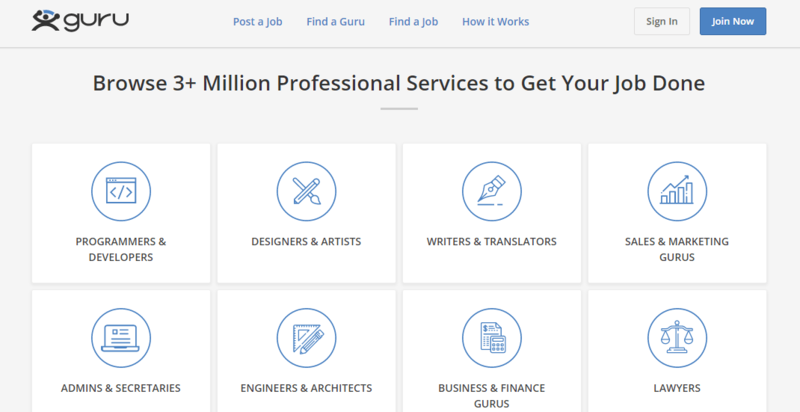 So, this Freelancing platform Guru provides you the same, it has professional seeing to give extra hands and provides the quality work to recruiters. To find a Guru you can either search for a specific task and it will provide you the list of Guru’s who are specialized to complete that task Or you can go through the particular category to find a Freelancer. If you are searching for Developers, Designers, or Finance experts then Toptal is the site for your need. Toptal provides you a network to hire Top freelancers. The main reason of Toptal is to provides the highest quality of freelance talent for any company size and any tech stack or environment. Toptal can be a perfect suit for you,if you are in need of a developer, designer or finance expert to work on your existing project. It is best and ideal for short-term engagements as they offer hourly and part-time rates as well. There are many competitors sites like Fiverr but Upwork is one of the popular online marketplaces to hire freelancers to get any variety of work done such as in the area of Design & Development, Accounting, Marketing, Admin Support, Writing, Networking, Engineering & Architecture and much more. However, if you are looking for more features then you have Upwork Pro where you will get Personalized assistance to help you find premium, pre-vetted talent and Upwork enterprise which is an end-to-end technology and service solution customized to fit your company. Workmarket is specialized for companies and entrepreneurs to hire smart workers and manage the entire workforce through a single dashboard. The WorkMarket platforms provide you an embrace a holistic approach to manage every aspect of your extended workforce such as employees, freelancers, vendors and others. Another advantage this WorkMarket OS gives you the real-time data to gain rich insights on all your WorkMarket activity in real-time. You can even create your own report in a flexible manner to get intelligent Reporting. Mirco jobs which are pretty popular and known term which indicated short-term or quick jobs and has a huge impact in every area of freelance work. Fourerr stands of the same. It is a platform to buy and sell Micro jobs at the cheapest price of 4$. If you are looking for any kind of Micro job to get done then search it on Fourerr top search bar. A part-time job is something which everyone needs because it is a pretty good source of extra pocket money. Especially if you are a student then you must be looking for a part-time job and College requiter is a platform for you. They provide a platform for college and university student and recent graduate to find a great part-time, seasonal, internship, and entry-level job. You can search a job here by putting a job title and specific city and state to get the job of your choice at the choice of your location. Gigbucks is another best and high profile Micro job finding Marketplace where you can Hire Expert digital marketers, Creators, and Creatives from the lowest price of $5 to Highest $50. So if you have something to sell that someone might be willing to pay up to 50 or 5 bucks for then go for listing that after registering on Gigbucks and attract the eyes of requiters. 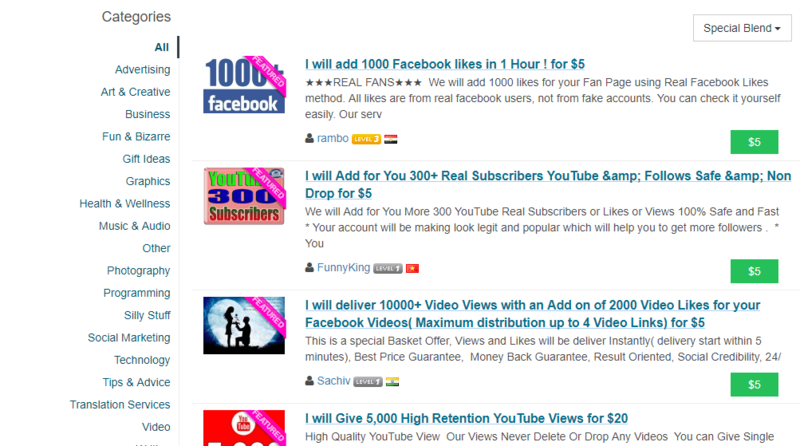 All these given Fiverr alternative sites have such ability to provide you a platform for outreach easily. Some of them are specialized for a specific kind of Freelancing platform. 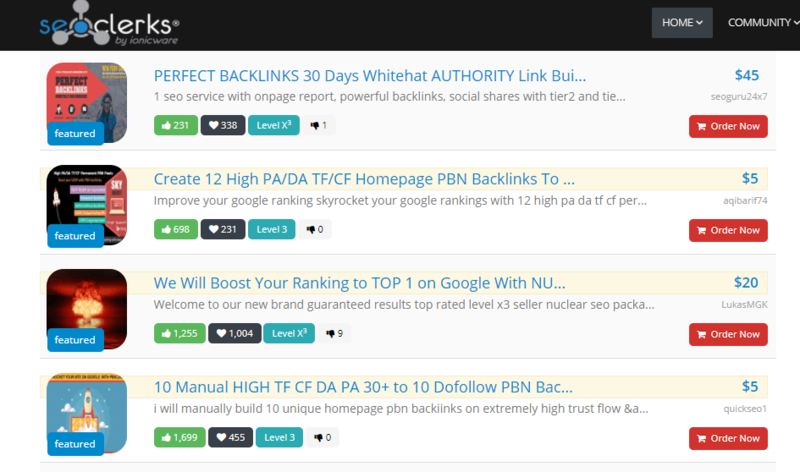 However, the majority of them has all the basic and general topics of freelnacing needs so nothing to worry about. Also, these sites like Fiverr has easy and quick payment options so paying Freelancers is not an issue here at all.